Welcome to Personal Injury Claims Blawg, a legal news blog on personal injury law and accident claims law for PI lawyers and the general public and potential clients of personal injury lawyers. A complex area of law requiring expert advice from solicitors, personal injury law is the body of law that governs personal injury claims against legal persons in delict in Scotland or in tort in England & Wales, the US and other legal jurisdictions. Personal injury actions are raised for people to seek damages for loss caused by another’s intentional or negligent acts or omissions. One of the most famous delict/tort cases dates back to 1932 in Scotland where Lord Atkin set out the neighbourhood principle in Donoghue v Stevenson. 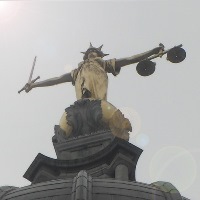 Further posts on personal injury claims law and news to follow.